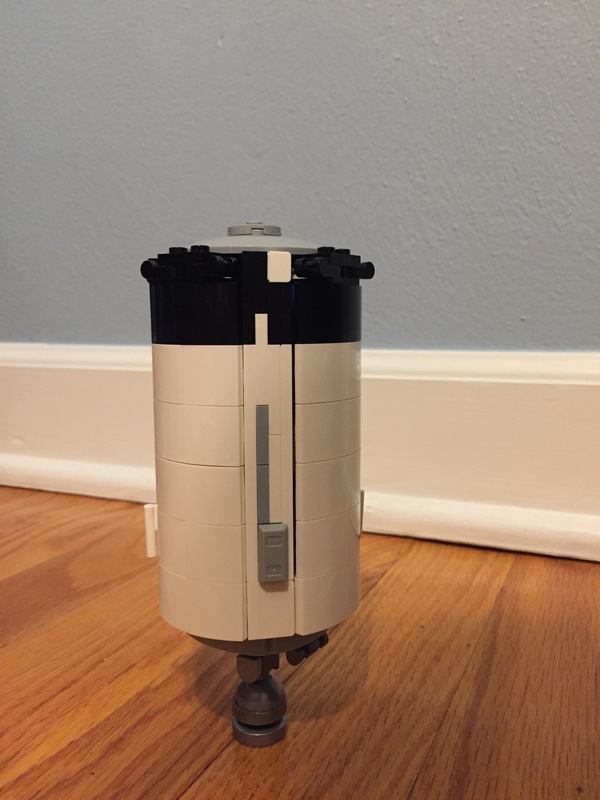 Surprisingly, I was never into LEGO growing up. 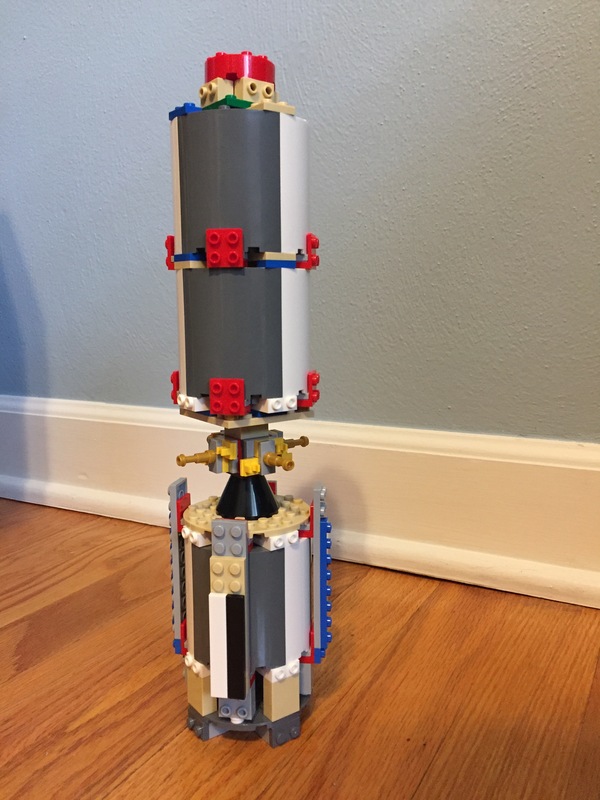 My interest peaked however, when I came across an article describing a fan designed Apollo Saturn V Rocket. 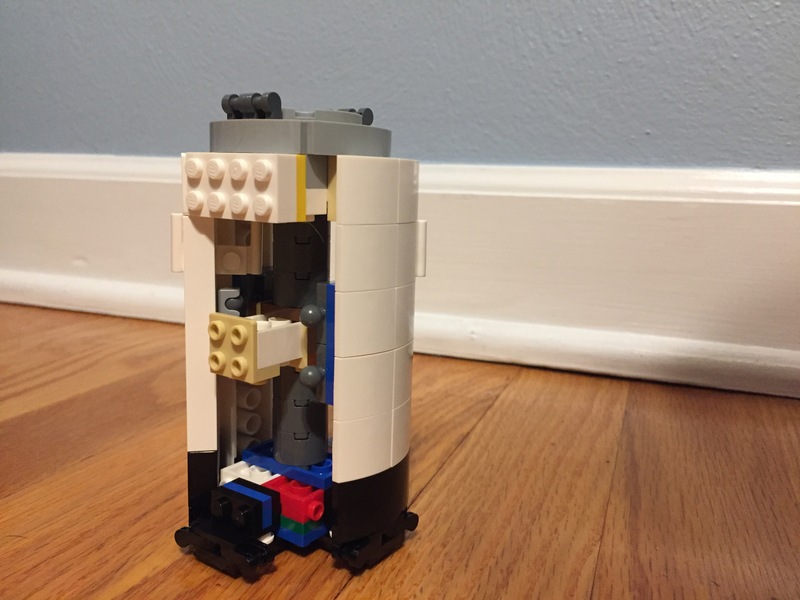 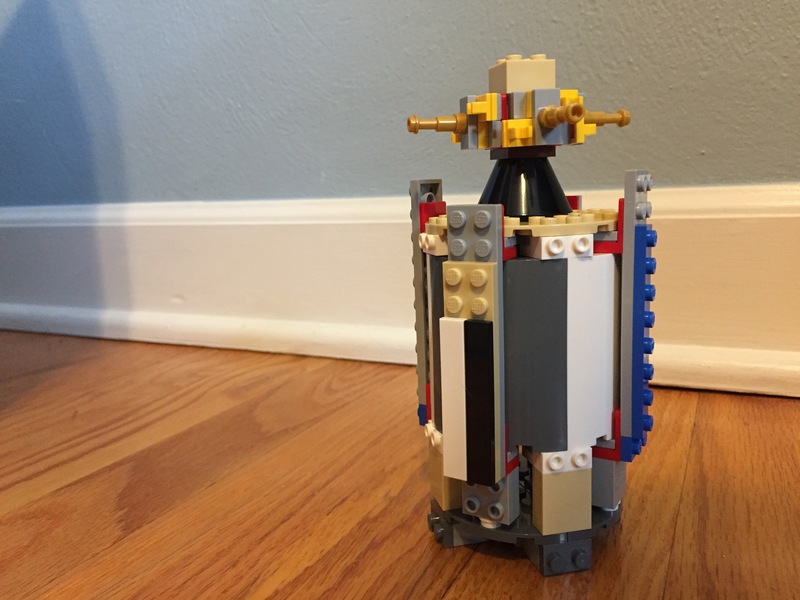 The website LEGO Ideas allows fans to design and submit their own builds. 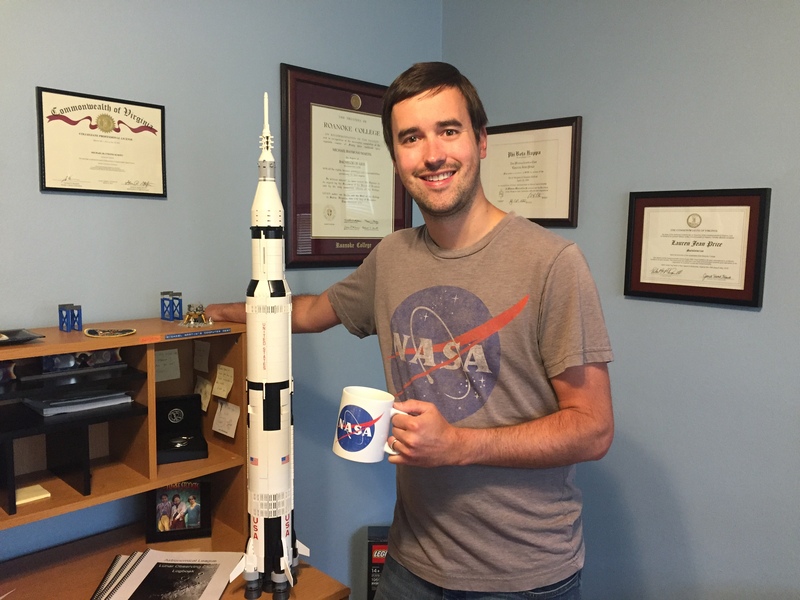 Valérie Roche and Felix Stiessen submitted a proposal for the Saturn V Rocket back in August of 2014. 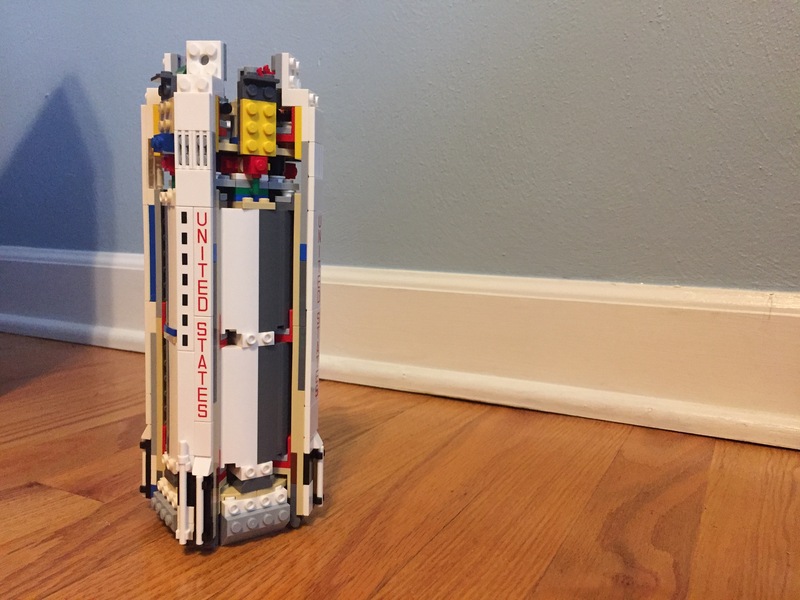 After nearly three years and a process which included 10,000 people voting for the project and LEGO officially reviewing it, their work is now an official LEGO product. 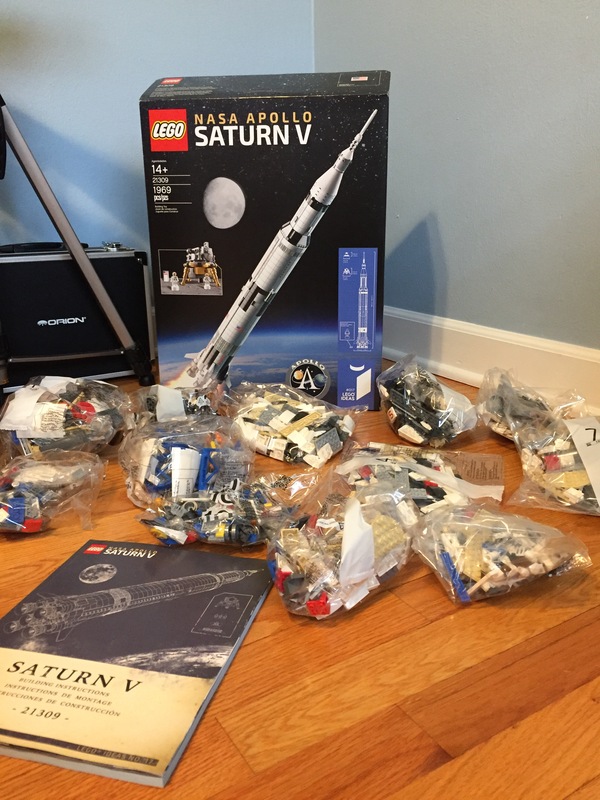 Upon its release on June 1st, the Saturn V instantly sold out. 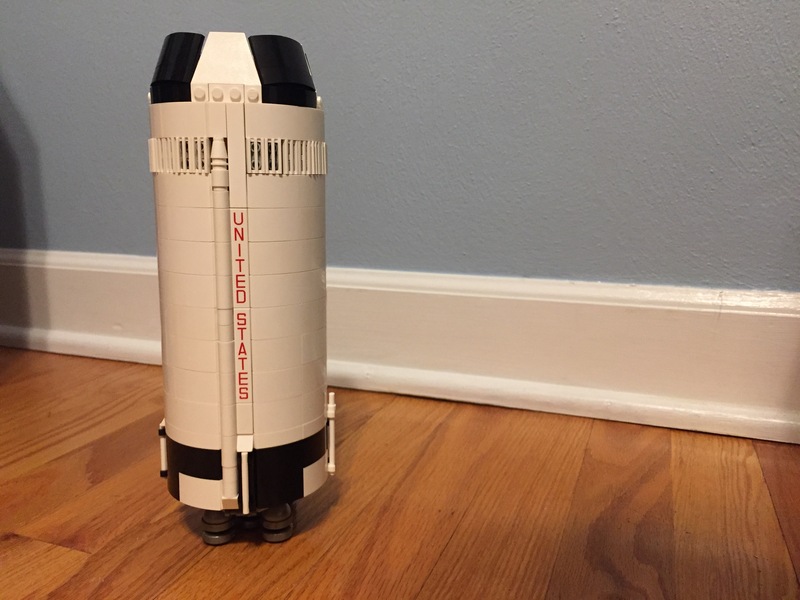 I gave little hope of getting one this summer until I randomly went to amazon.com one evening and they happened to have restocked a few. 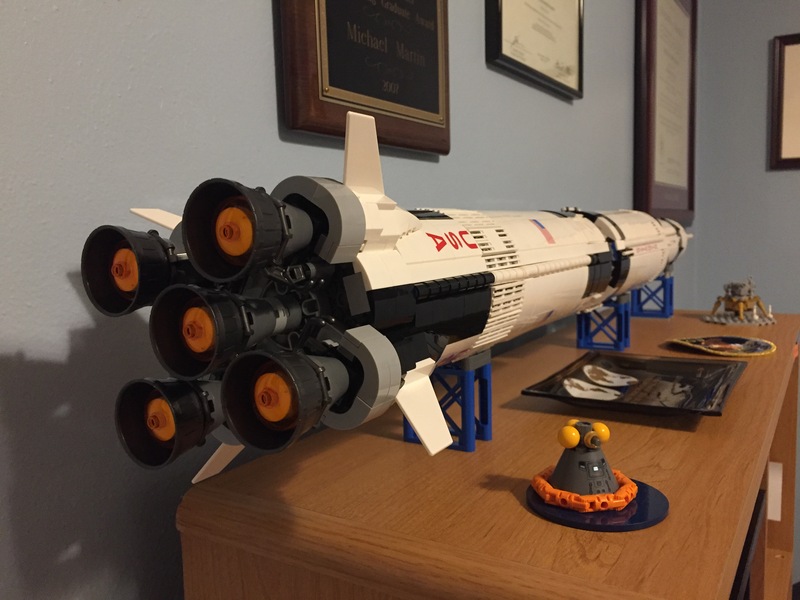 After quickly putting in my order the status returned to sold out and has remained that way at all major retail stores as of mid July. 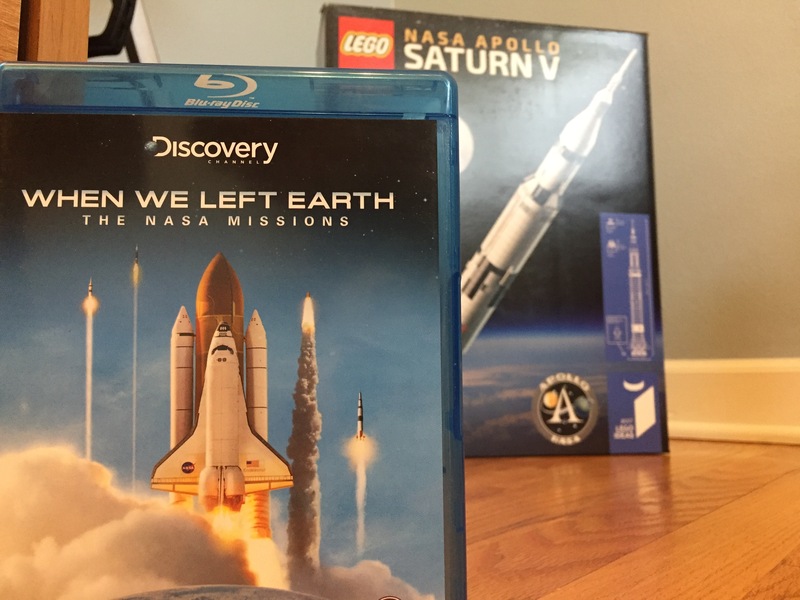 Having completed the build, while watching the documentary “When We Left The Earth”, I came away incredibly impressed with the care and accuracy put into this set. 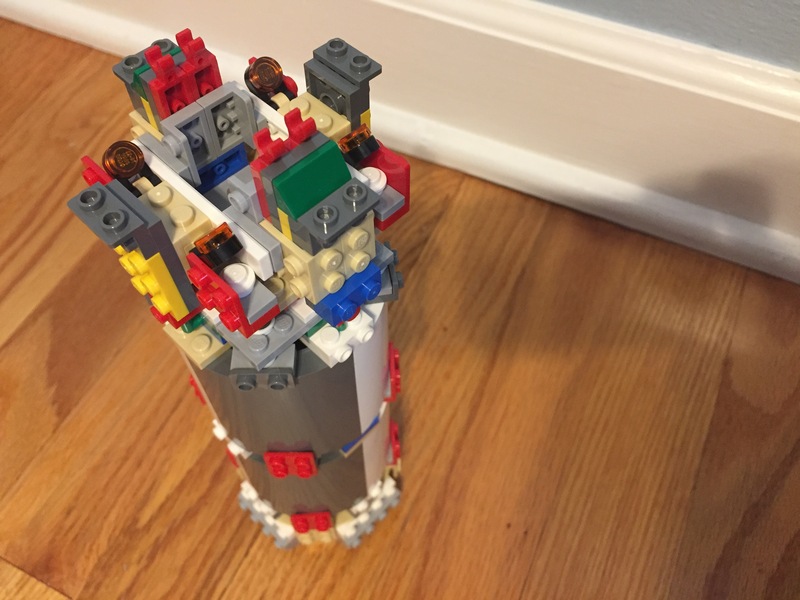 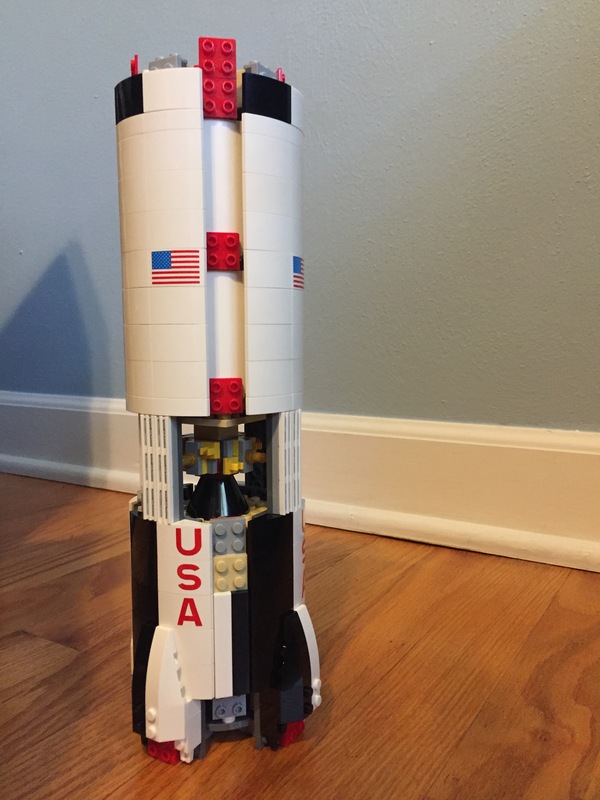 The details are precise, the colors are accurate and the three main stages are all represented along with the service, lunar and command modules. 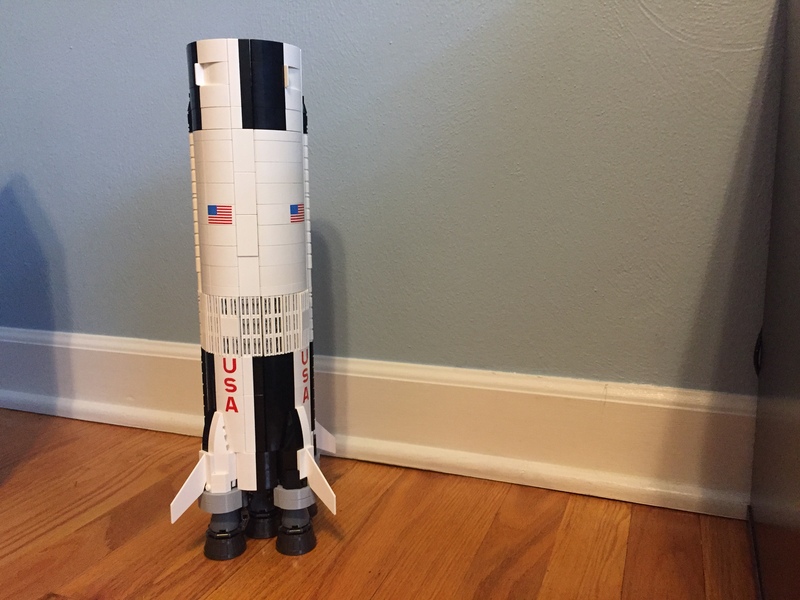 It even includes three perfectly scaled astronaut figures. 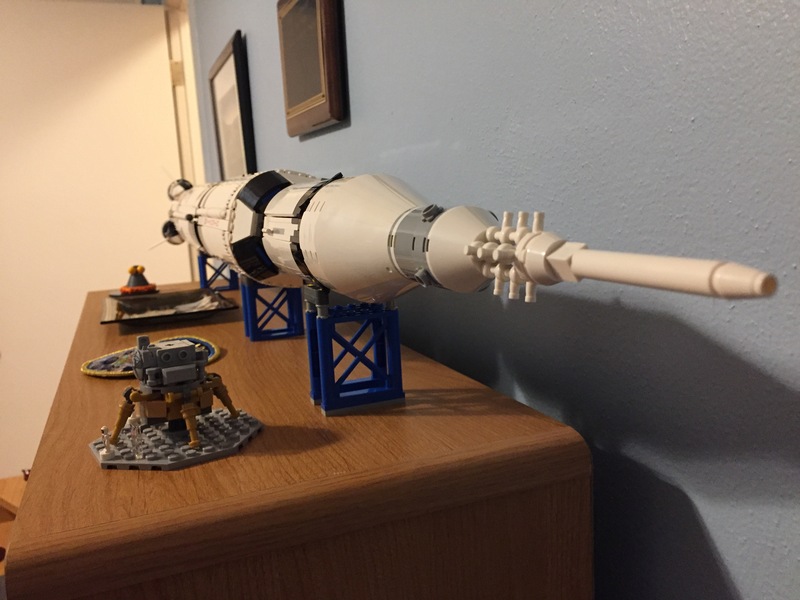 At 1,969 pieces (see what they did there) and 1:110 scale (1 meter tall) the finished result is an impressive sight that can be displayed either vertically or horizontally on the provided stands. 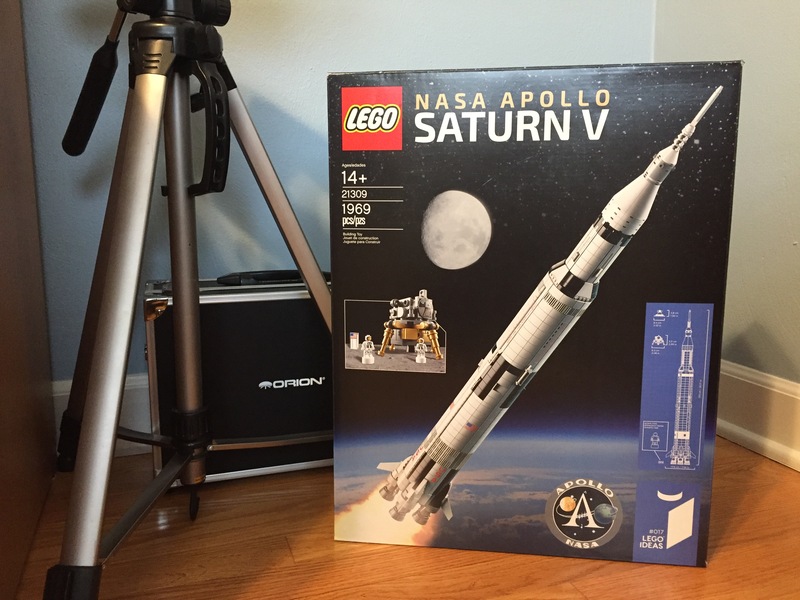 Regardless of your interest in LEGO, this is a wonderful collectors item for those interested in the Apollo Era.